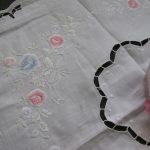 We bring you these pure 100% linen cutwork squares with white work embroidered roses accentuated with budding blooms. It is All in the Details, embroidered rose buds provide a delicate touch to the prominent cut out roses. The balance is subtle for a tranquil and peaceful setting. White Cutwork Rose corner embellished Whitework embroidered rose buds with a hint of delicate and subtle colours. Available in 24″ square. 100% Linen. Limited quantity. Linen doilies are designed to create charming focal points throughout your home. 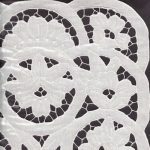 Available in the finest fabrics, 100% pure linen, these very special square doilies feature craftsmanship at its best, for end tables, bed tables, sideboards, dressers, wherever you want to add a touch of luxury. 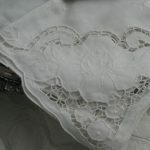 Made of pure 100% Linen. 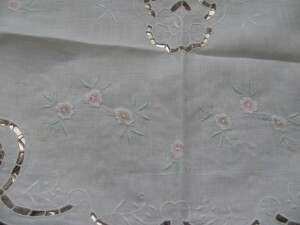 Cutwork rose embroidery on all 4 corners and along edges. 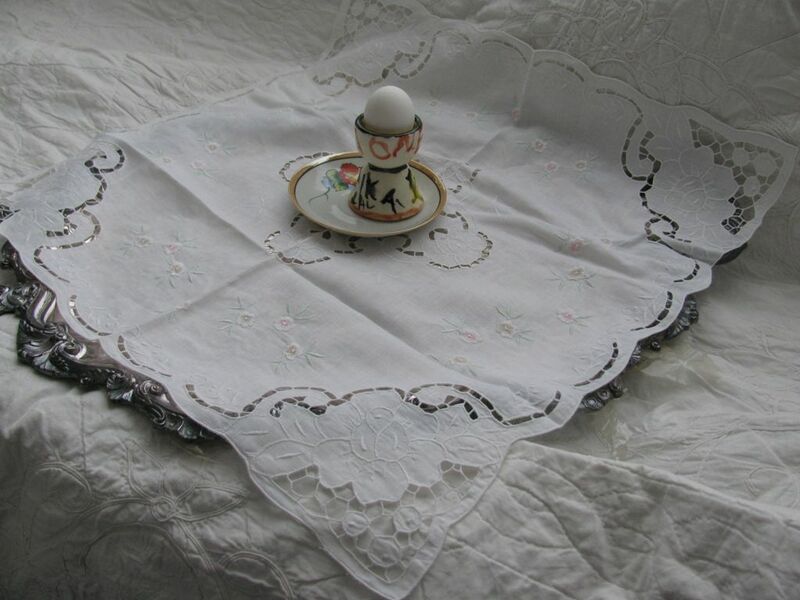 White with hint of colours : Square size : 24″x24″. All sizes are approximate measurements with a variation of 5-10% deviance.